If these critics are to be believed, Spider-Man: Into the Spider-Verse might be the best Spider-Man movie of all time. Set to release in theaters next month, the movie is now seeing its early reviews from professional critics rolling in. The consensus between them all is that the movie is fantastic, and there wasn’t very much negative to say about it. With 33 official ratings now in, the movie is sitting on a perfect score of 100% fresh at Rotten Tomatoes. Generally, the reviews praise the film for its story, animation style, and humor. While that score may fall as more reviews are added, it’s not likely to go down very far, and this is a great sign for fans eager to see it for themselves. This is obviously far from the first Spider-Man story to hit theaters, but Into the Spider-Verse will be the first animated Spider-Man movie to premiere on the big screen. Using a screenplay by Phil Lord and Rodney Rothman, the movie is directed by the team of Rothman, Bob Persichetti, and Peter Ramsey. Inspired by Sara Pichelli’s hand-drawn comic book syle, the movie’s animation is very unique, and creating the film required hiring the largest ever group of animators for Sony Pictures Animation. With Shameik Moore in the lead role, the movie also stars Hailee Steinfeld, Mahershala Ali, Jake Johnson, Liev Schreiber, Brian Tyree Henry, Luna Lauren Velez, and Lily Tomlin. An entirely original story, Into the Spider-Verse has Peter Parker step aside for another Spider-Man to step up. Moore will be playing Miles Morales, a character first introduced in the comic books in 2011 following the supposed death of Parker. Although it’s a different person in the red-and-blue suit, comic book fans have taken kindly to Morales, and clearly people are willing to accept him as the main character in the upcoming movie with open arms. The half-Puerto Rican, half-African-American teenager from the Bronx lives with concealing his identity as the world’s most famous web-slinger in the same way Parker had done in his youth. That doesn’t mean Parker won’t be in the film. There are, in fact, multiple versions of him in the movie. 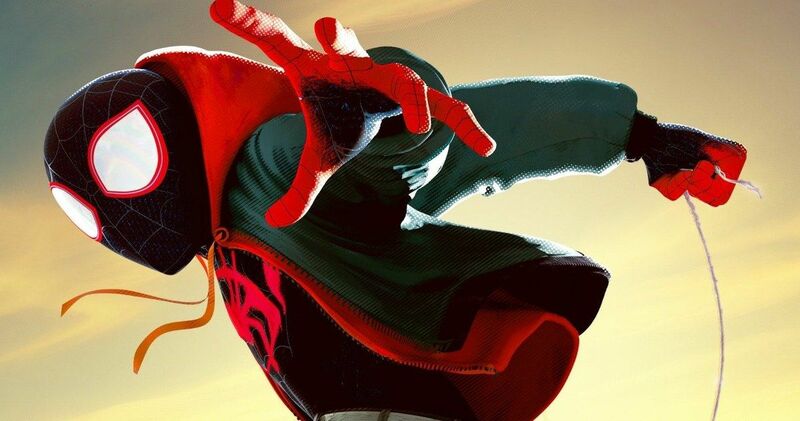 This is because the storyline introduces Morales to something called the Spider-Verse, revealing several alternate Spider-Men from different timelines and universes. This will be especially interesting for long time fans of the superhero, as this is a great way to pay tribute to so many different iterations of the character over the years. It also provides an intriguing plot for the casual viewer, as one doesn’t need to be familiar with all of these versions of Spider-Man to enjoy the story. The heart of the script lies with Morales and the relationship with his family, in addition to his dealings with the alternate Spideys. Ahead of the movie’s release, Sony is clearly very confident about its success. An official sequel has already been ordered with Joaquim Dos Santos in the director’s chair, using a script by David Callaham. A female-centric spinoff is also in the works from screenwriter Bek Smith, with Lauren Montgomery attached to direct. You can see the movie for yourself when it releases in theaters everywhere on Dec. 14. In the meantime, keep up with the reviews by heading on over to Rotten Tomatoes. A new clip has been released by Sony, which shows off why so many people are in love with the movie.